As debate rages in the Philippines about the banning of ore exports, nickel prices have been yo-yoing, with concern fluctuating between panic over stocks and assurances that there is enough of the metal to go around. Nickel surged back in mid-May from roughly US$8.20 per pound to highs of near $9.50. Since then it has fluctuated, never reaching its initial high; most recently it skyrocketed in August and early September on the back of nickel supply crunch fears. The metal’s performance is a sharp difference from 2013, when suppliers were struggling with a nickel surplus that left them short on cash. After Indonesia left the ore export market — the government placed a ban on ore exports in January 2014 — it left large consumers, such as China and Japan, scrambling to identify other sources. Indonesia’s elimination from the market not only pushed prices sharply upward, but heightened interest in identifying additional supplies. For its part, China shifted its focus to the Philippines. 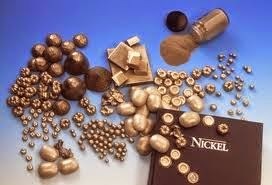 At the time, Indonesia accounted for 20 percent of global nickel supplies. According to the World Bureau of Metal Statistics, in December 2013, China imported only half a million tonnes of nickel from Philippines, with 3 million coming from Indonesia. China, the world’s largest nickel consumer, relies on the ore for use in its steel mills. A report published in August by Patricia Mohr, Scotiabank’s vice president of economics and commodity market specialist, forecasted nickel prices to keep climbing. “The world supply & demand balance will shift into a marked ‘deficit’ in 2015, as China depletes its inventory of Indonesian ore for ‘Nickel Pig Iron’ production (used in stainless steel),” she wrote. Countries are now building stockpiles should the Philippines go through on its threat to ban the export of ore deposits. Reuters has already reported that China began stockpiling high-grade nickel laterite, known as nickel pig iron , back in May when murmurs of a ban in the Philippines started appearing. Bloomberg reported that warehouses in Johor, Malaysia, have 157,200 tons of refined nickel, or 49 percent of the LME total, and are 38 percent higher for this year. 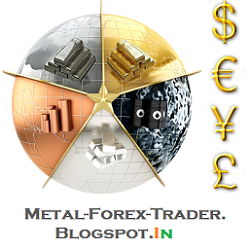 Total LME nickel stockpiles represent about 1.5 months of solid consumption. According to the Financial Times, nickel stocks in London Metal Exchange-registered warehouses hit a record of nearly 318,000 tonnes in August, up from 262,000 tonnes at the start of the year and 12 percent since June. In a report, National Australia Bank said to expect nickel prices to remain steady until stockpile numbers start to dwindle with the ban. As the single biggest importer of nickel, China seems to remain concerned about any potential ban — judging by its stockpiling of ore. When Indonesia first placed a ban on exporting ore in an attempt to boost investment in its domestic smelters, nickel prices surged about 35 percent, causing concern over future stockpiles. However, such rampant concern has been tempered in the past few days, with lawmakers in the Philippines admitting that a potential ban is months away, if not further.